← 10 Retellings I Need To Read and So Do You! Not what I was expecting when I picked up this book. 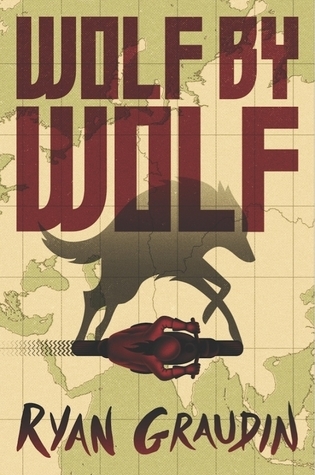 This has a supernatural twist on what would happen if Hitler had won WW2 which was such an interesting concept. It also deals with genetic experiments on those in the concentration/labour camps and what “could” have been created as a result. This was on my top 10 WWII historical fiction books I need to read, so I was so happy to find it at a good price. I love reading about WWII. I don’t know why but I find it fascinating and I love how this book put it’s twist on it. Graudin has a wonderful mind and her idea for this novel was so interesting to see come to fruition. At first I thought this was a standalone novel but as I reached the end I started panicking hoping there was more to read and alas the next part comes out at the end of 2016! I didn’t guess the ending and the ending was a good one! The concept I mean a motorbike race around several countries so she has the chance to kill Hitler? I’m down for that. I could not put this book down. I read it in one sitting. Seeing how the MC Yael discovers herself and how the other characters develop. I would highly recommend this book! I mean it’s an alternative reality post-WWII book with a motorcycle race to kill Hitler… who doesn’t want to read that? I am sooo (still) looking forward to reading this book! I'm glad to hear that you really enjoyed it and that things develop nicely! And you're right! Who doesn't want a book with a motorcycle race to kill Hitler? Because I know I can't resist the temptation!